Disclosure: Budget Earth received products for this review. All opinions, however, are honest and my own. Did you know that May is Celiac Awareness Month? Unlike many other disorders, Celiac Disease is a life changing disorder that is silent. Since you can’t just look at someone and tell they are having issues, many people quietly go about their day not knowing that they suffer from some of the common symptoms that come along with this disorder. One of the biggest changes for those diagnosed with Celiac Disorder is the need for a gluten free diet. Unfortunately, one of the first things that many people assume has to go is their favorite sweets. 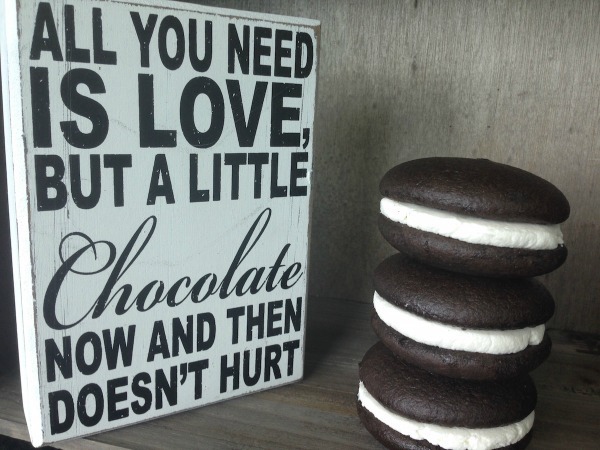 Luckily, we know the perfect solution for anyone – The Piping Gourmets Woopie Pies! The Piping Gourmets: What is It? 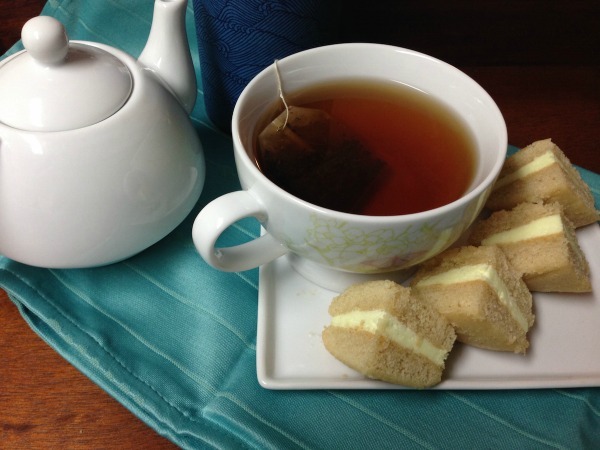 Tired of not being able to have a delicious dessert when you are having a sweet craving? Is so, we think you will love the Piping Gourmets. Their flavorful, allergen free whoopie pies are certified GFCO, Kosher-Pareve, vegan, dairy free, egg, free, and non-GMO. Not only are they perfect for anyone with a gluten allergy, but they are healthier than most similar products as well, allowing you to enjoy delicious flavors that nearly anyone would love. These cute whoopie pies comes in a variety of delicious flavors, including Chocolate-Chocolate, Chocolate-Vanilla, Vanilla-Vanilla, Chocolate-Mint, Chocolate-Raspberry, and Vanilla-Lemon. We are certain that once you try these delicious gluten-free whoopie pies, you will never think of dessert the same way again! For those who are living a gluten free or dairy free lifestyle, these frozen cakes desserts are an absolute must. Not only are they a great substitute for flour filled traditional desserts, but you won’t miss the unsafe version at all with their fun flavors and great taste. Who knew that being gluten free could be so healthy and tasty? Want to try some of these whoopie pies for yourself? 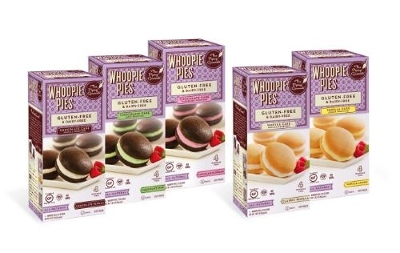 You can find The Piping Gourmets Gluten Free Whoopie pies in the frozen section at a natural store near you! To see where they are sold in your area, make sure to use the store locator on their website! Want the latest news from The Piping Gourmets? Check them out on Social Media! Disclosure: Budget Earth did not receive monetary compensation for this review, but did receive products for review purpose. All opinions on this product are my own honest assessment, and may differ from our readers’ opinions. yeah these look pretty irresistible!! I’ll have to look our for them! Then hide them from my guys. My daughter is gluten free and I never know what to fix. I usually skip it, but I will try these recipes. These look really yummy, and I looked up the store locator and they sell them here in San Diego at Whole Foods, will have to check them out! I’ve been gluten free for several years and desserts are very hit or miss (mostly miss) so I tend to steer clear. These sound like a good option though and I will definitely give them a try. Yum, I cannot wait to try the Piping Gourmets Gluten Free Whoopie pies, my flavor is the Chocolate-Chocolate. Thank you for sharing this review. sound like a good option and I will definitely give them a try. This looks so tasty to me…..I have never seen these before but I need to get this! Thanks for sharing! I am sharing this with a friend of mine. She’s recently had to go gluten free. Those flavors sound good. I don’t know which flavor I’d like to try first.Maybe chocolate raspberry, or vanilla. The Chocolate-Chocolate and the Chocolate-Vanilla flavors look very yummy. Great treat!